Uefa Club Footballer of the Year 2009. Same old Arsenal always getting the easiest group. Chelsea and Liverpool both have very tough groups, I would say our is medium but the groups to watch out for are groups C,A and F.
We should top our group with no problems. The distance we have to travel is worrying but we should cope. wel we should be we are the second best team in europe last year and the best this year! and im sure in janurary we can evan improve our team more id like to see de costa come in and he would be able to play in europe also! 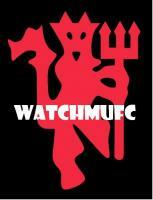 will be intersting to see who fergie buys in january, but id say we'll go a long way this year, maybe even WIN IT!! !